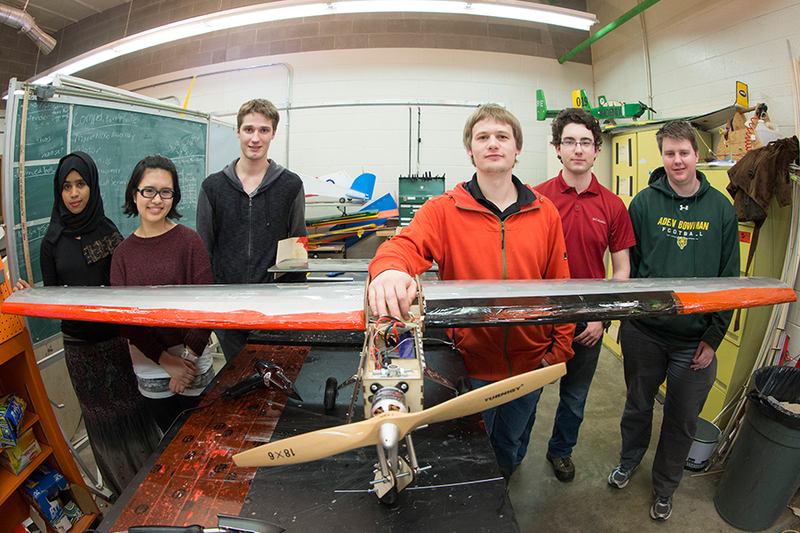 Members of the U of S Aero Design Team (photo by David Stobbe). On March 10, and for that day only, Professor Emeritus Kay Nasser and his wife Dora will match up to $40,000 in donations to the President’s Student Experience Fund or the Nasser Family Emergency Student Trust. This initiative is one of many across the U of S campus to support students on this day, encouraging donors on campus and in the broader university community to support a student-related cause. The Nasser Family Emergency Student Trust was established to aid students who encounter unexpected financial difficulties that could seriously affect their school year—such as loss of residence and belongings due to fire, or attendance at the funeral of an immediate family member. "The unfortunate reality is that some students require urgent funding due to emergency situations," said Kehan Fu, University of Saskatchewan Students' Union vice-president of student affairs. "Thankfully, the fund provides critical support for students who are faced with an unexpected financial burden and allows them to appropriately devote their attention to their courses." The President's Student Experience Fund is also solely donor-based, and supports initiatives such as the JDC West business competition recently hosted by the Edwards School of Business. Cole Thorpe, who participated in the JDC West competitions as both a student and now alumnus, emphasized the importance of funding for students to take advantage of opportunities such as national and international competitions. "Events like JDC West also demonstrate how our students and university stack up against other top schools," said Thorpe, adding that strong showings at the JDC West—including first- place in several categories and the third-place ranking overall— showcase the quality of the business school and the university. The 2016 competition involved 600 students from twelve major business schools across western Canada. An additional 200 volunteers from the university, including students, faculty, staff and alumni, were involved in the planning and organizing. The President's Student Experience Fund supports a variety of other student-led initiatives as well, including the U of S Aero Design Team. Nathan Morhart is one of 30 members of the team, consisting of students across several disciplines. The team's goal is to build a large model airplane weighing no more than 55 pounds, including a minimum payload of 26 pounds, to compete for top honours at this year's SAE Aero Design West competition in Van Nuys, Calif. The U of S team will go up against 74 contenders from the U.S., Poland, Egypt, India, Mexico, the U.K. and Canada. In addition to the funding received from the President's Experience Fund, Morhart said that receiving support from the university is also important in attracting additional corporate sponsors. Because of the Nasser's generous offer to match donations on March 10 for One Day for Students, it is an ideal day to show support for our students through these two funds. "If we can raise $40,000 from our campus and alumni, it will mean $80,000 for students who benefit so much from these two funds," said Sandra Lazar, associate director of annual giving. "That goal is achievable. At last year's One Day for Students, we raised close to $60,000. It shows what happens when everyone realizes their gift, no matter what the amount, really does make a difference."